When will be Man at Arms next episode air date? Is Man at Arms renewed or cancelled? Where to countdown Man at Arms air dates? 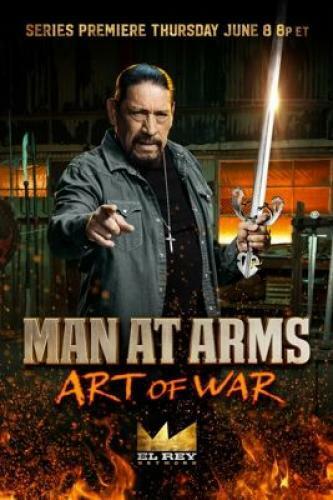 Is Man at Arms worth watching? El Rey Network is bringing the digital series Man at Arms to television in a co-production deal with the show's creator DEFY Media. In each episode, a team of expert craftsmen skillfully reproduce famed weapons and armor from scratch, using both the technology that would have been available at the time such weapons and armor were originally created, as well as state-of-the-art technologies. Man at Arms next episode air date provides TVMaze for you. EpisoDate.com is your TV show guide to Countdown Man at Arms Episode Air Dates and to stay in touch with Man at Arms next episode Air Date and your others favorite TV Shows. Add the shows you like to a "Watchlist" and let the site take it from there.